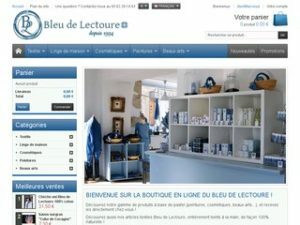 Lectoure’s Blue has just acquired a brand new online store! You can also discover the cosmetics range with pastel oil that we sell, in partnership with “Graine de Pastel”. We have created a space for artists who want to use this fabulous color in their creations! The delivery methods are very economical (free from 250 € purchase), and for those who wish to come visit us, there is the possibility to withdraw free of charge items ordered online, directly in store! Discover the Lectoure’s Blue online shop today by clicking here and order our products all over Europe!